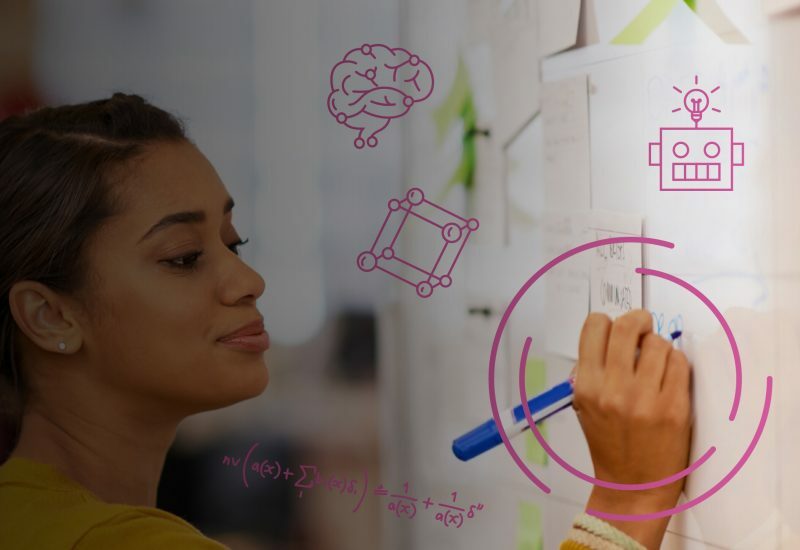 Microsoft Research’s AI Breakthroughs workshop is a unique event dedicated to discussing the most exciting research breakthroughs in AI with, you, the best and brightest PhD students. This two-day workshop in Redmond, Washington, is a great opportunity to meet and discuss the future of AI with other top students and Microsoft researchers. This talk provides a snapshot of several Reinforcement Learning (RL) projects across Microsoft Research AI. We’ll cover projects that grapple with foundational problems in RL, that study RL in simulated environments, that deploy RL in the digital world, and that prototype RL in cyber-physical systems. First-order methods play a central role in large-scale optimization. Even though many variations exist, almost all such methods fundamentally rely on two types of algorithmic steps: gradient-descent step and mirror-descent step. In this talk, we show that the performances of these two types of step are complementary, so that faster algorithms can be designed by linearly coupling the two steps. In particular, we show how to obtain a Nesterov’s accelerated gradient method via linear coupling. The speed and scale of global environmental change requires a commensurate response in how society monitors, models, and manages Earth’s natural systems. AI will play a key role in transforming how we collect data, convert it into actionable information, and communicate it. By training increasingly sophisticated algorithms with this unprecedented collection of data on dedicated computational infrastructure, we can combine human and computer intelligence in a way that will allow us to make increasingly informed and optimal choices about today – and tomorrow. The “next big thing” is actually 50 billion small things. Namely, it is broadly anticipated that the number of small mobile AI devices will reach 50 billion within the next 5 years. Some of these devices will be carried in our pockets and others will be worn on our bodies or in our clothes. Intelligent devices will be embedded in our homes, vehicles, factories, and cities. The proliferation of small AI devices promises to impact every industrial sector and to define the next evolution of personal computing. Many of these small intelligent devices will be battery powered and severely resource impoverished (with memories as small as 32KB and with processors that can be 1000x less powerful than those found in modern smart phones). However, most state-of-the-art machine learned models are designed to run on powerful servers and are not well suited for these weak mobile platforms. To realize the vision of a future filled with intelligent devices, there is an acute need for new machine learning algorithms and techniques that are tailored for resource constrained computing devices. In this short talk, we will overview my team’s ongoing research and engineering efforts in this direction. Specifically, I will describe some of the tools and methodologies that have allowed us to make progress on this problem and I will demonstrate our work on people-counting on the edge. Machine Intelligence techniques such as reinforcement learning and imitation learning have been tremendously successful in achieving superhuman performance in software games (e.g. Atari games, AlphaGo etc.). While the idea of applying such methods for autonomous flights in an uncertain environment is an appealing one, there are at least two challenges that need to be addressed. First, operation of these flying robots in open-world require machine learnt perception systems that are often far from perfect and can jeopardize safety. Second, the high sample complexity of recent ML/AI techniques means that a lot of labeled data and training is needed before the systems are useful, which can be problematic when building real-world vehicles. We will discuss how techniques from formal methods and simulations can help not only reason about safe plans and control strategies but also provide the necessary experience and generate enough data to train the system adequately before deploying it on a real aircraft. Despite advances in AI, machines still have limitations in accomplishing tasks that come naturally to humans. When AI systems are fielded in the open world, these limitations can raise concerns around reliability, biases, and trust. In this talk, I will discuss how blind spots emerge in different learning frameworks due to incompleteness of machine training. I will present approaches that can effectively combine algorithms and human feedback towards overcoming the limitations of AI and developing more reliable systems. In machine learning, there is often a tradeoff between accuracy and intelligibility: the most accurate models (deep nets, boosted trees, and random forests) are usually not very intelligible and the most intelligible models (logistic regression, small trees, and decision lists) are usually less accurate. This reality limits the accuracy of models that can be safely deployed in mission-critical applications such as healthcare, where being able to understand, validate, edit, and ultimately trust a learned model is important. We have developed a learning method that is often as accurate as full complexity models, but even more intelligible than linear models. This makes it easy to understand what a model has learned and also makes it easier to edit the model when it learns inappropriate things. In this talk, I’ll present a healthcare case study where these high-accuracy models discover surprising patterns in the data that would have made deploying a black-box model risky. I’ll also briefly show how we’re using these models to detect bias in domains where fairness and transparency are paramount. In a truly intelligent personalized digital experience, the underlying intelligence would not only observe what and who you interacted with, but also learn what types of things are important, and what you need to know about, and could notify you when salient and significant changes occur. This system would be able to understand your intentions, goals, and how you communicate and collaborate with those around you. Our work aims to identify the underlying goals that drive people’s behavior in task planning, relationship management, and communication, and describe how we have operationalized machine learning models at scale, in business contexts. We will provide a video demonstration of one application of this technology. The Perception and Interaction group studies and defines the interface between the virtual world of computers and the physical world of people and objects. We aim to enrich this interface through sensing technologies, smart signal processing, new modes of interaction, and understanding users. In this talk I will present some recent work exploring new modes of interaction in virtual reality (VR): a VR system that allows its user to distort space and time, and a series of novel hardware controllers that recreate the haptic sensation of touching and holding physical objects. Progress in encoder-decoder models has led to progress in such generation tasks as translation, captioning, summarization, headline generation, and more. But there are still many challenges to be overcome before systems reach human level parity, especially for long-form text generation. In this talk, I will introduce some of our recent work on long-form generation, focusing on two aspects. First, I will present a discourse-aware neural rewards model for coherent text generation that specifically solves a task when there is weak alignment between the input and output text. I will also introduce some of our recent work on long-form generation, focusing on different learning strategies such as imitation learning and deep generative models. Our goal is to teach generation agents to be better writers by imitating the intrinsic hierarchical structures in long text via recurrent models. These recent works further my goal of developing general and flexible deep models that enable the next generation of intelligent systems, including more flexible multi-modal information synthesis as well as more capable digital assistants and dialog systems. In this talk, I will introduce the situated interaction research effort, which aims to enable computers to reason more deeply about their surroundings and engage in fluid interaction with humans in physically situated settings. Our research group has developed a number of prototype systems in this space, including smart elevators, virtual agent receptionists, and directions-giving robots, and we have encountered a host of interesting and unforeseen challenges along the way. To address some of these challenges, our current focus is on the Platform for Situated Intelligence (\psi), an open-source extensible platform meant to enable the fast development of multimodal, integrative-AI systems.